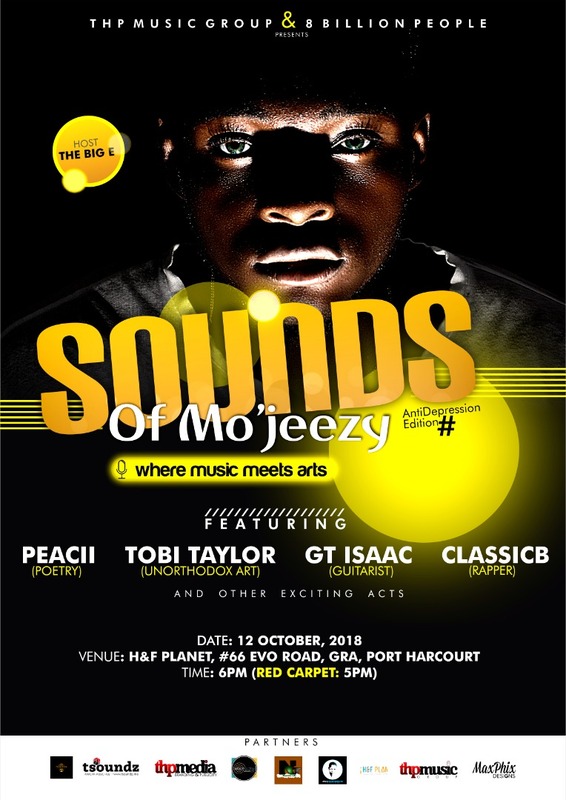 Mo'jeezy is set to thrill Port-Harcourt City on Friday October 12th with his vibes. 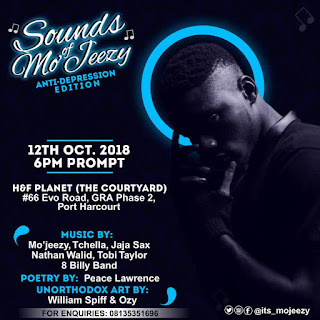 The entertainer said the aim of this event is to cubing depression in the society as this has been an issue of concern to Nigerians with buttress of the recent ranking by World Health Organization putting Nigeria as 10th most depressed country in Africa. The event will feature life band musical performances from Mo'jeezy and a host of amazing artiste performances From GT Isaac, Jaja Sax, Tobi Taylor, Peacii, Laedo, Luke Nathans, Tchella, Nathan Walid, & The 8 Billy Band and other Port-Harcourt, Owerri and Lagos based acts. Writing and Play, Unorthodox Art (William Spiff & Ozy), Poetry from Peace Lawrence, are varieties of vibes to be experienced that day. If you are in PH City, you shouldn't miss this.